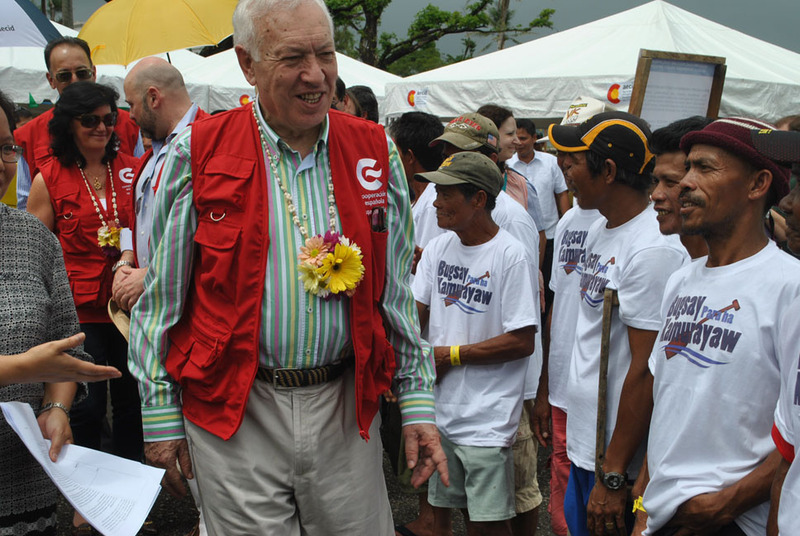 Spanish Foreign Minister Jose Manuel Garcia Margallo was the latest high profile international leader to visit Yolanda-ravaged Tacloban City. He visited Tacloban on March 25 leading in the distribution of 400 fishing boats funded by their government. 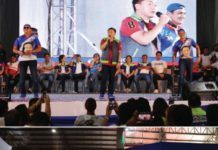 TACLOBAN CITY-The Australian government has upped its financial assistance to the country with an additional 30 million Australian dollars during his visit to this city on March 25. 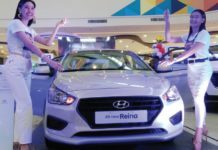 Ambassador Bill Tweddell said that the additional financial aid to the typhoon-stricken country would help further its effort to rebuild areas hit by the massive disaster almost five months ago. With the additional aid announced by Tweddell, the Australian aid to the Philippines has now reached to around $70 million. “We try to be responsive; we try to be generous as a neighbor and friends of the Philippines, to support you in times of disasters…and in the long terms, to mitigate and help ensure the impact of disasters is limited,” Tweddell said. “In behalf of the Australian government and its people, I am very pleased to announce today that Australia will provide of A $30 million in contributions for recovery and reconstructions activities in areas devastated by typhoon Yolanda,” the ambassador added. Earlier, the Australian government extended financial of A$40 million in the aftermath of Yolanda for emergency relief. The Australian ambassador made the announcement before Social Welfare Sec. Corazon “Dinky” Soliman and other officials of the regional office of the Department of Social the officials of the Department of Social at the Citi Hardware in Apitong Area. The Citi Hardware serves as a hub where donated sacks of rice are repacked and distributed to the typhoon victims. The $30 million fresh financial assistance of the Australian government will be used for the following: A$4 million(P162 million) to help about 450,000 people affected by the typhoon to restore their livelihoods;A$3 million(P121 million) for construction of 75 classrooms and day care centers;A$1 million(P40 million)to help 336 communities in Leyte and Eastern Samar to build back better and be more disaster resilient through multi-hazard mapping, improved land use planning and building codes and establish early warning systems and emergency response teams;A$1 million(P40 million) to various agencies of the United Nations to restock prepositioned supplies, to include dignity kits, rice and high energy biscuits and another A$1 million to help bring in Australian technical experts. Also, the Australian government will provide A$20 million or more than P800 million to build 500 classrooms in typhoon hit areas, Tweddell said. Sec. Soliman assured the Australian ambassador and his government that the additional financial assistance extended to the country would be used according to its purpose.